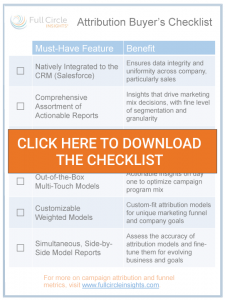 Looking for a marketing attribution solution, but don’t know where to start? It’s tough to accurately measure the impact on revenue when you don’t have the right tools to support your process. YES, I’d like to receive occasional email updates from Full Circle Insights. 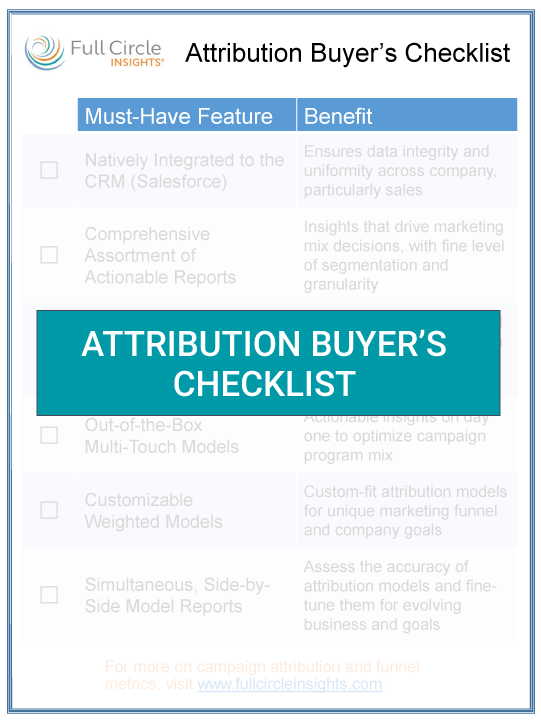 Thank you for requesting the Attribution Buyer’s Checklist.